We are glad to announce another minor release of Qflex. This release contains minor fixes and library updates, as well as additional features we thought would be useful for monitoring your MQ infrastructure. Added channel statistics collection, working on the same interval as queue manager statistics collection. Added new channel reports with charts to illustrate channel activity. 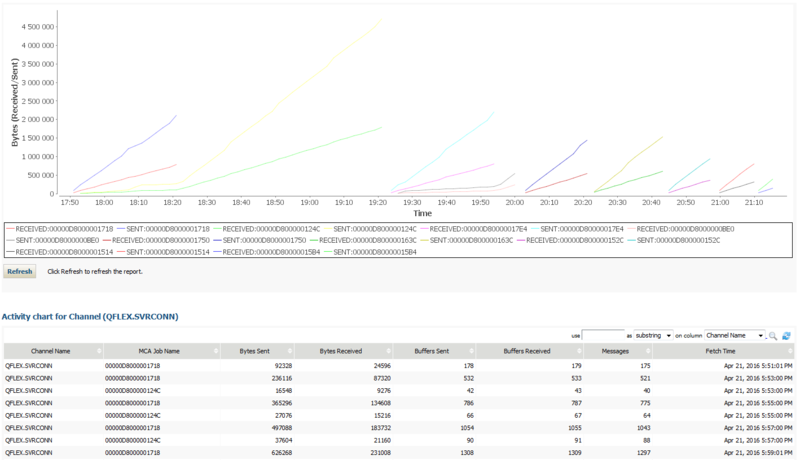 Added external Reports web service endpoint to be able to fetch report data from other analytical software, like Splunk. Added external Alerts web service endpoint to be able to capture alert data in other monitoring software. Queue Manager PDF report was fixed.